Entry Fee: $20 ($5 discount for RUSA members, $5 discount for preregistering online within 24hrs of the start time.) 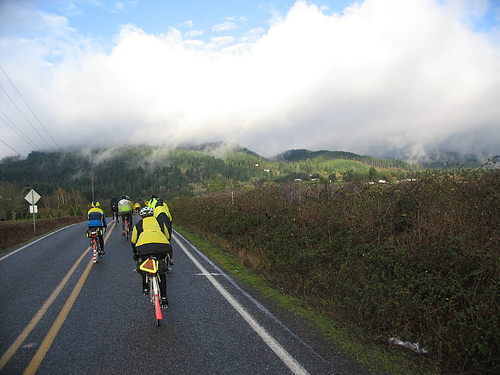 Checks should be payable to "Oregon Randonneurs", also, Oregon Randonneurs membership is required for this event. You can download a membership form and bring it with you. Register Now! Vernonia has plenty of services, but we have a staffed control with hot drinks and goodies at Anderson Park. The park has a covered picnic area, warm bathrooms and showers if you are desperate. 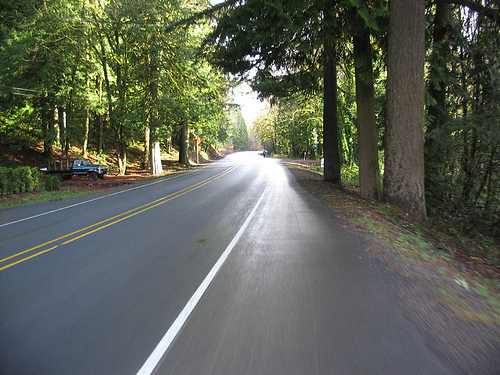 After Vernonia, you continue north out of Vernonia towards Kersey along the road that eventually turns to gravel. 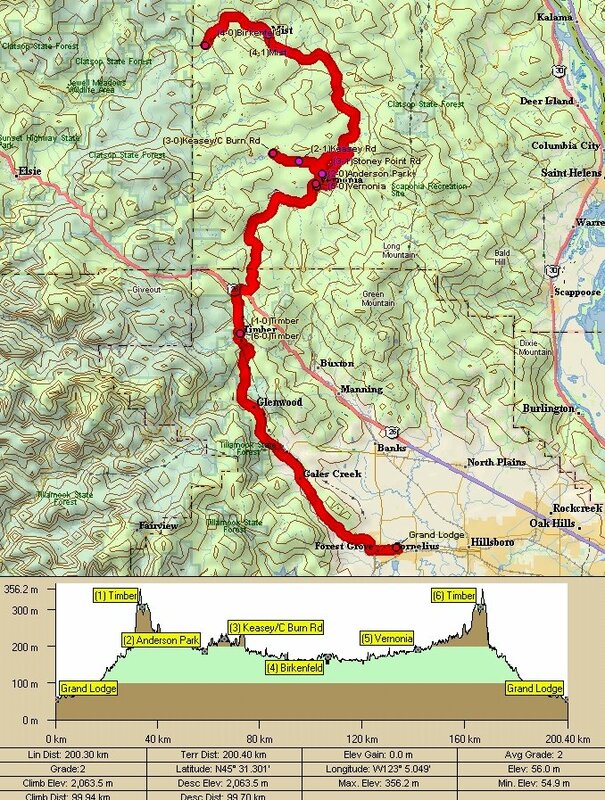 A huge heard of Elk were spotted here while the RBA was scouting roads during last years event. After a bit of outnback to an informational control (no gravel), you head towards Birkenfeld on Stoney Point Rd., catching Hwy 47 before Mist. You ride along the Nehalem River to Birkenfeld Store, the turnaround. You will find some drinks, groceries and a grill here at the 1910 store. This is logging country. Turn around and head back to Vernonia for the second time.